There’s another approach you can take, and that is to focus on the fact that the Watchtower has made significant changes in its teaching regarding blood. The goal of this approach isn’t to challenge the Watchtower’s doctrine itself. Rather, the purpose is to highlight to the Witnesses the Watchtower’s unreliability on this issue of life and death importance to themselves and their families. 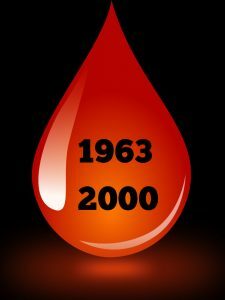 From 1963 until the year 2000, the Watchtower taught that the Bible strictly prohibits the taking of any substance derived from blood. An obedient Jehovah’s Witness, accepting this as truth from God’s organization, would have died or let a spouse or child die rather than allowing a doctor to treat them with anything that is derived from blood. However, in the year 2000, the Watchtower changed its teaching. Now it says that Jehovah’s Witnesses may take blood fractions if their conscience allows it, so long as they don’t take whole blood or any of four primary components of blood—red cells, white cells, platelets, or plasma. Should Christians accept these fractions in medical treatment? We cannot say. The Bible does not give details, so a Christian must make his own conscientious decision before God. While it is good that the Watchtower has eased up in this area, the fact remains that the organization’s leaders control the lives of Jehovah’s Witnesses, sometimes to the point of requiring them to die for Watchtower teachings which can change at any time. Based on the 2000 change, you might be able to get Jehovah’s Witnesses to question the Watchtower’s reliability using several soundbite comments and questions. Most likely the Witnesses will cite Proverbs 4:18, which says that the path of the righteous is like a light that gets brighter and brighter. You can conclude by honing in on the key issue—the potentially fatal consequences of blind adherence to the changing teachings of fallible men. Have you ever discussed with Witnesses some of the changing life and death directives of the Watchtower? Do you think some of these soundbites might be helpful in your discussions? 2 Comments on "Challenging Watchtower Reliability Regarding Blood"
When I talk to JWs they always seem to have an answer for everything. It’s so hard talking two against one. I really wish they would not insist on talking in two’s. I know that if I could get them to talk to me one on one, it would make all of the difference.